Save on your next holidays with our Zafiro hotels coupons, vouchers and deals. 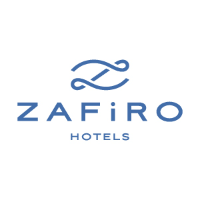 Zafiro Hotels, the new hotel chain born from the reorganization of the renowned Viva & Vanity Hotels. All of its 4 or 5* hotels offer freedom and luxury to their guests without comprising quality or their well-being. Discover Zafiro Hotels, 12 hotels in Mallorca and Menorca providing exclusive services to help create the most amazing family vacations. At Zafiro Hotels you will find all the rest and relaxation you need and the superior quality you deserve, in the personalised service you receive from our team of expert professionals, in our excellent facilities, and in the delicious dining options they provide. Choose our all-inclusive experience so you can focus on just making sure you enjoy your stay while our youngest guests join our mascot Yzzy in endless activities, games and shows designed to ensure hours of fun.